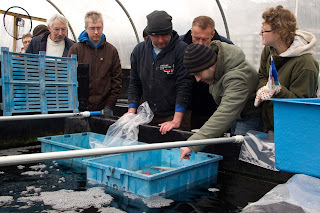 Well the snow and cold continues to hinder our hobby, with pond temperatures still in mid to low single figures, but that didn't stop a great turn out at the Kangei koi club grow and show results day at Avenue fisheries on Sunday. A total of 20 club members battled though the snow to see how their koi had developed over the past 5 months. 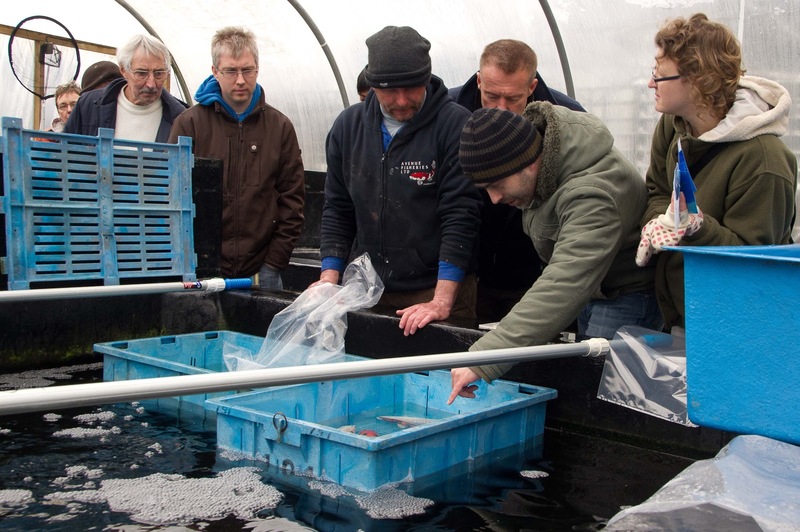 The koi were all between 19cm-29cm on purchase, and were grown on indoors at 20deg, in Avenues growing on facility. 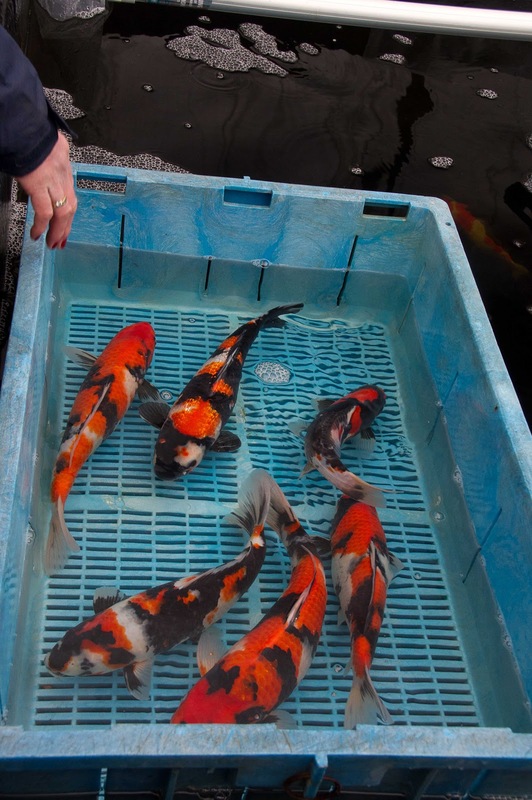 We ran a dual competition, first prize of a £200 koi voucher went to the koi that had shown the best development, and second prize of £100 koi voucher went to the koi that had shown the biggest percentage growth from it's initial size. Both vouchers were kindly donated by Avenue Fisheries. All koi were bowled one by one, measured, and the better 6 were placed into a separate bowl for the final judging, which was done by Pam and Steve of Avenue. The competition was tough, with 6 showa making the final. After much deliberation, the winning koi, a Takahashi Showa owned by Mark Seymour was chosen as the koi that had shown the best development. 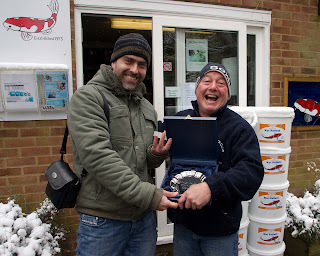 Mark was over the moon, taking home a quality koi that was 4 times it's initial purchase value, and a £200 voucher to boot!. Well done Mark! Second prize was given to a Yagenji Shiro Utsuri, bought by me, Tim Morphy, which had grown from 22cm to a whopping 30.5cm! A total increase of 38.6%. And although it sounds silly including the 0.6%, it was so close, that 3 koi were in the 38% class. I'm very pleased with the koi, and never thought i'd be in the running being 19th out of 21 people to choose, especially with a Shiro. Just goes to show everyone is in with a chance. 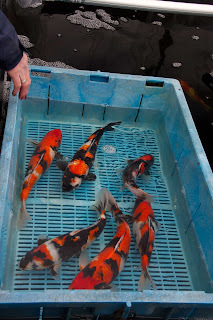 All koi have been photographed, before and after, and a powerpoint presentation will be drafted up by Bob for the April club meeting on the 10th of April, please come along, as we are hoping to do something similar later this year, so a good opportunity to see what to expect if you missed this event. Keep an eye out for the presentation which will be posted here next month. 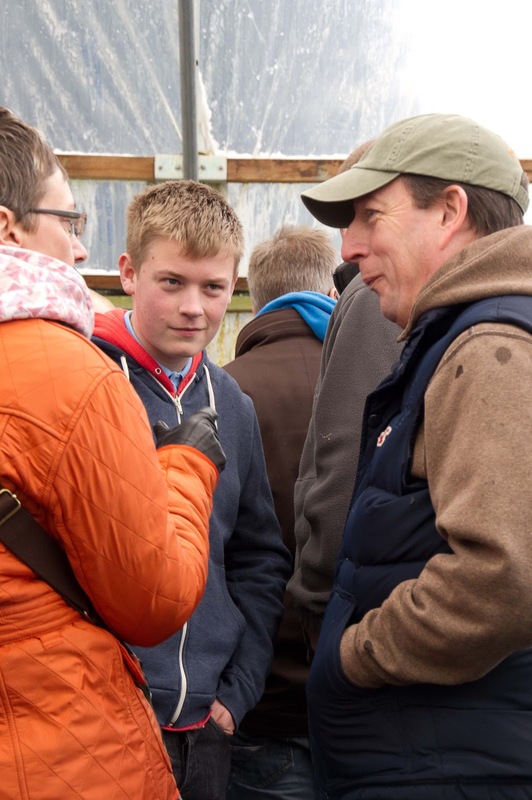 A huge thank you to Pam and Steve from Avenue Fisheries for making this even possible, providing some excellent koi at good prices, and also sponsoring the event with 2 very generous koi vouchers. 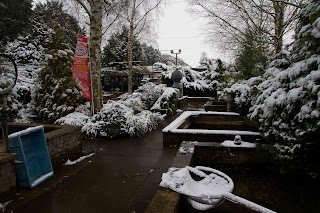 Also worth noting was the condition of the koi, which was excellent.